Until recently, singer and songwriter Emily King had lived her entire life on the same block on the Lower East Side of Manhattan. But sometimes change can be good, and in the wake of leaving her beloved downtown neighborhood behind, King has made a new album called Scenery. It was the departure from her old neighborhood that inspired King’s third album. Nominated for a Grammy, for Best Contemporary R&B Album, for her debut, 2007's East Side Story, King released her second album, The Switch, in 2015. When time came to cook up her third album, King felt that her hometown of New York had become a creative blockade: its familiarity was stifling. So she moved to the Catskill Mountains region of upstate New York in 2017 and found that the serene surroundings of the woods, the mountains, and the quiet solitude was what she needed to write. In addition to the new surroundings, there was another facet to her life in the country that helped influence her music – she was forced to learn how to drive. Once she was motoring around the country roads, she began envisioning what she wanted her next album to be. The finished product, Scenery, is smooth and seductive, buoyed by an '80s-era effervescence and sleek R&B grooves. On tracks like "Interlude (What Love Is)," King leans on lush embellishments, like tasteful synths, deft acoustic guitars, propulsive percussion, and her own breathy, sweet vocals. “Remind Me,” the opening song, stirs up memories that are no longer possible to ignore. “Teach You” is a light, airy pop song with a gently strummed acoustic guitar and King’s soft, expressive vocals. That vibe continues, with a tropical flair, on the empowering “Can’t Hold Me.” The exotic “Caliche” has a hint of mystery and the shimmering “2nd Guess” glistens like sunlight on a country stream. King wrote, or cowrote, all of the songs on Scenery with her producing partner Jeremy Most (King also co-produced two of the tracks). The pair also played the lion’s share of the instruments and the cohesion of their vision is one of the many joys of Scenery. After a long road, leaving New York City was exactly what King needed for this chapter — she sounds renewed and reinvigorated on Scenery, an album which enchants and delights, exuding an ecstatic warmth. 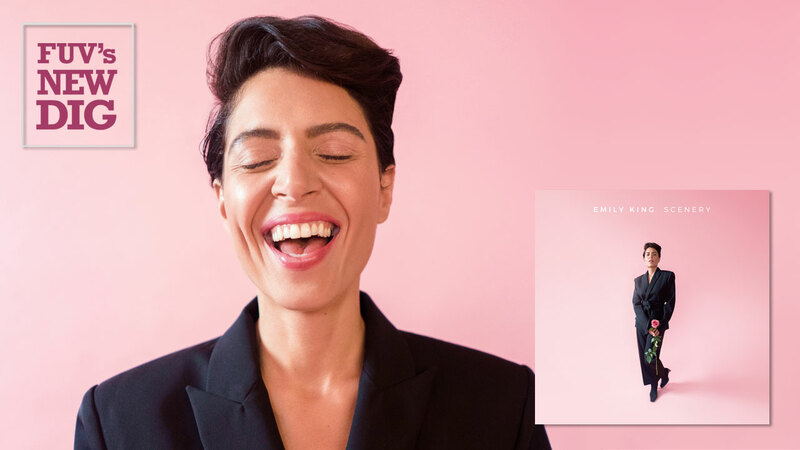 Listen to an FUV Live session with Emily King airing on Monday, March 25, at a special time of 6 p.m. EDT on 90.7FM, also streaming and available on demand at WFUV.org.